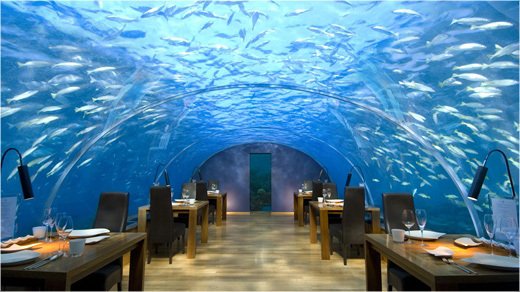 The Conrad Rangali Island Maldives Hotel opened the world’s first undersea restaurant about 5 years ago. As part of it’s anniversary celebration, the restaurant will now allow guests to sleep under the sea as well. 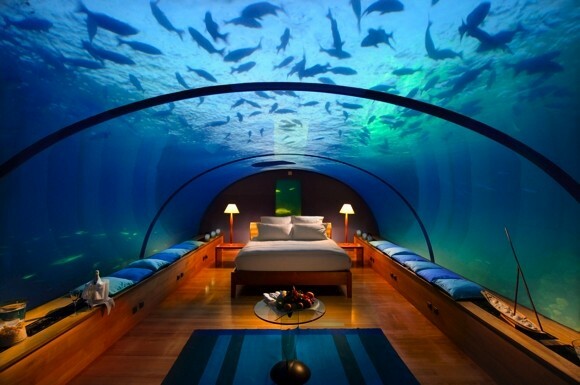 The 12 seat Underwater Restaurant seated 16 feet below the surface will be converted to a private bedroom suite for two. And if that’s not enough, a private champagne dinner and breakfast in bed will complete the package. Located in the Indian Ocean, Ithaa serves Maldivian-Western fusion cuisine. Encased in plexiglass, Ithaa offers its guests 180° views of reef and marine life, which are sure to make this unique experience memorable.